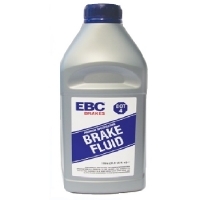 EBC Sport Brake Fluid is DOT3-4, suitable for most brake systems. 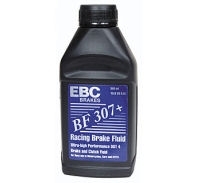 Amazingly any glycol brake fluid fitted to all cars can absorb up to 13% water during a vehicles lifetime and this water can turn to steam and cause vapor lock or spongy brakes, new fluid is always a good upgrade to your brake system. General purpose glycol fluid has a dry boiling point of 268C (514F) and a minimum wet boiling point of 165C (329F) for most modern motorcycle and automotive brake systems. CANNOT be mixed with Dot 5 silicone fluids.